An absolut magic night. 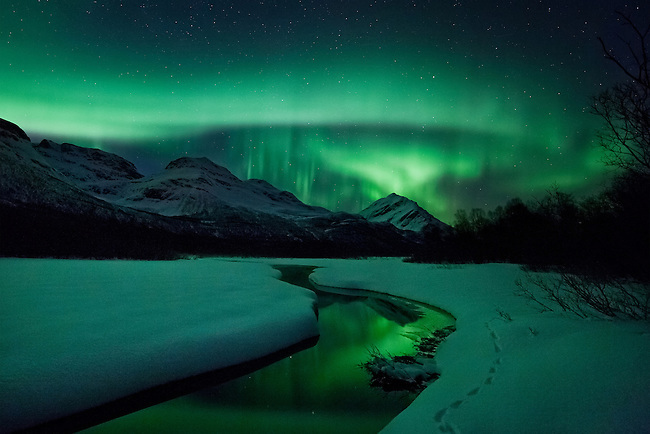 Fantastic majestic auroras, among earths other majestic elements like mountains, snow, and rivers, all lit by fantastic green auroras. The tracks in the snow is from a fox that was on location just before me. This is one of my absolute personal favorites, and one of my most popular shots.